GEMPLER'S Premium Packable Rip-Stop Rain Jacket is designed to keep you dry and comfortable in wet environments, featuring a high-rated 3,000-PU waterproof coating with taped seams for watertight protection. 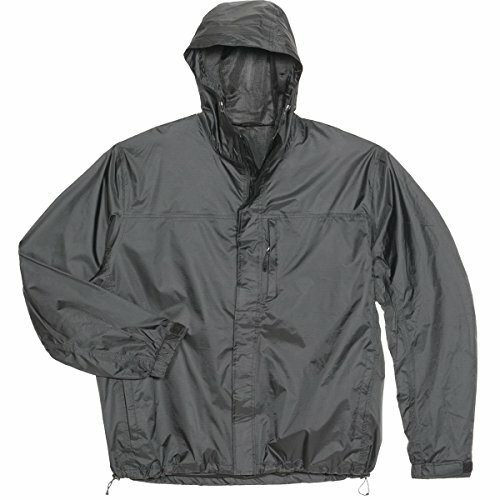 Made from a premium grade ultra-durable fully breathable nylon material to help keep you cool and ventilated when the going gets tough, this popular waterproof jacket also offers plenty of useful storage, featuring two slash-style hand warmer pockets, and the left side has an additional zippered VT chest pocket for extra storage. Drawstring closure at the hood and hem line helps keep wind and rain out. Jacket folds down into a compact carrying pouch. We also offer matching Rip-Stop waterproof pants to go with this packable jacket, available in our Amazon store. If you have any questions about this product by GEMPLER'S, contact us by completing and submitting the form below. If you are looking for a specif part number, please include it with your message.